Firefox has many plugins and add-ons that a user can find very useful. It is possible to do a search for plugins at addons.mozilla.org/en-US/firefox. Add-ons (little programs that enhance a web browser’s functionality) can trick out your browser to help you do everything from upload website files to speed dialing your favorite websites. One of the great things I find about Firefox, other than its security and un-hackability, is how it’s constantly being updated and bettered by “add-on” features. Whenever you are on the web, you cannot avoid an encounter with the Google search engine, so it makes sense to always have it at hand. Google search and the page rank checker are only a few of the Google tools which become available to you if you use this add-on on your Firefox browser. This one is used for blocking flash animation on the webpage you are viewing, especially if it’s an intrusive ad that you can’t otherwise avoid. However, if it is something worth your attention, to view it, you can click the button which appears right on the spot where the flash animation is supposed to be. Because this one saves tons of traffic. Another useful Firefox add-on. Basically, all information on the web can be divided into two categories: the one that you need and look for, and the one which is irrelevant to your web search. However, there is a third group which is comprised of monstrous ad banners which can appear anywhere on the web and at any location, very often right in the middle of the text that you are reading, totally ruining the text continuity. The adblock blocks most of the annoying advertisements that you may come across while surfing the web. It is not very comfortable when the download process is launched in the pop-up window. This add-on allows opening the download manager in a new tab, instead of launching a new window, which is a nuisance in most cases. However, it is not critical for your browser performance, so it is on the last place. Handy Password toolbar allows filling in multiple web forms automatically. If you have a lot of web accounts where you need to fill in logins and passwords, it will fill in all those fields with your information automatically. Besides, it can remember and manage all your passwords and even generate strong passwords for you. In short, if you use this Firefox add-on, you don’t have to remember or submit any logins or password, just as you don’t have to manually fill in extended web forms. Really great one! Sometimes you’ll come across a website you really like and think “wow, what’s that color?” Up until now, you’ve either had to open up the website’s source code to try to track down the color name (difficult if everything’s hidden by style sheets), or get some graphics software and try to approximate what you’ve seen. Now ColorZilla has an “eyedropper” button that is incredibly simple to use. You just download the add-on, install it, click on the dropper icon in the bottom corner of your screen and hey presto, the color is yours. Easy. This one is another great Firefox add-on it gives you the ability to install ‘mini-add-ons’ which are basically small scripts, that change the way you view or use a given website, made by the users of the Greasemonkey add-on. There are so many small scripts for almost every website out there, not all are useful but you are bound to find one or two you like for your favorite sites. 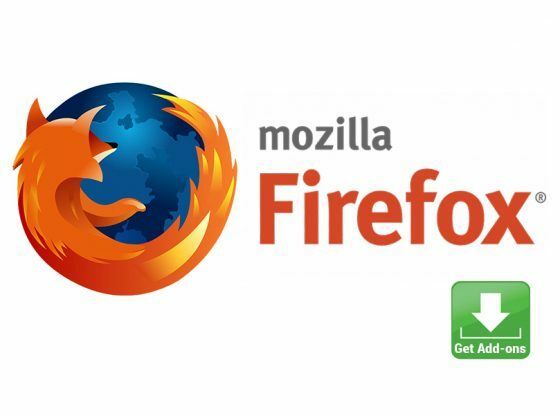 Although almost all websites support Mozilla Firefox Browser, it’s unfortunate that an annoying few still don’t support Firefox in even if it’s just a small part of the site. So it’s helpful to have this little add-on which simulates Microsoft’s IE within a Firefox tab or window. It’s very simple to switch to IE mode and start surfing just like you would in Explorer only inside your trusty Firefox browser.